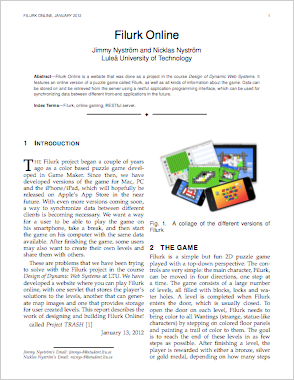 We've now uploaded the report on an old project of ours, Filurk Online (which you can play here). If you're interested, you can download it at the bottom of the Filurk page. You're not interested in the slightest, you say? Huh. Strange. Check it out anyway.